Browse our trip notes to find great ideas for Frum trip ideas. Whether you’re looking for Kosher vacation homes, or Chol Hamoed Succot or Pesach trips, just ask the Hippo! We’ll lead you to the best frum family outin! You can even search for attractions that have kosher food and shuls nearby! ice skating in the winter). When you’ve finished lunch, you can head to the The Swan Boats, which are located right there in the park. The driver takes your family and others on a leisurely, 12-minute pedal-powered boat ride— an inexpensive, relaxing start to your trip that will bring you up close to some of the city’s waterfowl.. 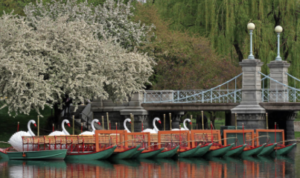 TIP: The lines for the Swan Boats may look long, but don’t worry, they move very quickly. TIP: This walking tour is also baby-friendly. Bring on the strollers — literally! 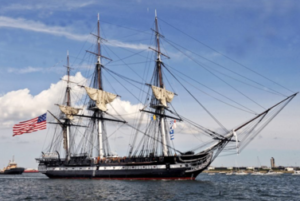 If you still have energy left, take a trolley ride to The USS Constitution Museum, where you can enjoy a free tour of the oldest floating warship in the world. You can also check out an adjacent warship in dry dock. You should be good and ready to check in to your hotel by now. If you have Starwood points, the W Hotel downtown is a beautiful and friendly hotel. If not, The Holiday Inn is a lower cost option. Alternatively, you can try one of several charming bed and breakfasts like Sharon Woods Inn, Bertram Inn, and Samuel Sewall Inn, all located a bit further from the attractions, but closer to the shuls and kosher food. 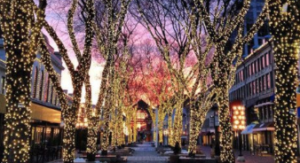 If you have the opportunity to go back out in the evening, you can stroll around Faneuil Hall. They have awesome street performers and acts. You can walk around and browse the shops and enjoy some fun people-watching. If you are staying at a hotel, the nearby groceries generally carry kosher products, so you might want to buy breakfast and prepare lunch to take along, since most of the Kosher restaurants are in Brookline, which is a distance from the attractions. If you are staying at a kosher B&B, then your breakfast is covered of course, and you can pick up some fresh bagels for lunch from Kupel’s bakery. If you end the 80-minute Duck Tour at Prudential Center at Boston’s historic Back Bay, take a 13-minute walk or 5-minute trolley ride to the Boston Tea Party Museum. And tell your kids to stop rolling their eyes — this tour’s fun! 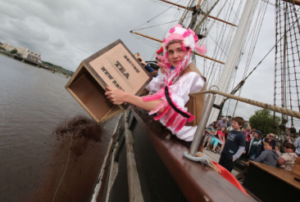 Grade-school aged kids and up will enjoy watching costumed actors reenacting the Boston Tea Party, bringing history to life. Congress Street and getting it validated when you get to the museum. TIP: This adult outing works for kids too, and it’s even stroller-friendly. There’s free beer sampling, and if you get lucky, they may even be offering free mugs, too. Reminder: Don’t go on Pesach, of course! Enjoy a dinner at Taam China for Chinese cuisine, or Eilat Café if the kids vote for milchig. You can’t go wrong with either! If you’re lucky enough to stay over for a third day, you can take the Fenway Park Tour. 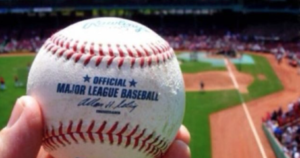 It is an excellent one-hour guided walking tour at the home of the Boston Red Sox. If you have baseball fans in the family, this will definitely be the highlight of their trip. Challenge: find the green monster at the stadium and discover why it was built. If you can fit in a Mitzvah opportunity, there are, unfortunately, always Jewish patients at the Children’s Hospital. The hospital is right nearby, just outside of Brookline. Consider making a Bikur Cholim stop, and infusing your fun with meaning. Drive/trolley 8 minutes to Jerusalem Pita and pick up falafel or schwarma for lunch. Enjoy your lunch at the Larz Anderson Park, 15 minutes away. It’s a nice, shady park in Brookline with beautiful views, a playground, a walking path, and pond. Bring along some kites in the summer and sleds in the winter! The Swan Boats are beautiful and relaxing. They are right near the Boston Common- which is a really nice park to walk around and is right at the start of the Freedom Trail. 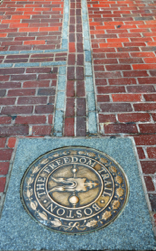 The Freedom Trail sums up what Boston is all about. It brings you to all the major historic sites of early America. Not to be missed! It’s an excellent walking tour, and baby friendly too. It starts at Boston Common. The USS Constitution Museum is not far from Boston Common. It’s the oldest floating commissioned warship in the world. The tour is free. For more fun historical education, go to a Reenactment of the Boston Tea Party which is educational in an immersive way, and lots of memorable fun. The Duck Tours are pricey, but they are the #1 attraction in Boston. 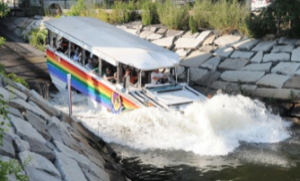 It’s an amphibious bus that takes you around Boston on the streets and then becomes a boat that goes in the water. You can save money by getting a 2-day duck tour pass. You will get to see a bunch of interesting places, as well as have transportation from place to place, all for one fee. Alternatively, if you want a very cheap boat “tour” check out the MBTA website https://mbta.com. You can go from Quincy to Boston without getting off for 6$ a person and kids ride free! The boat ride takes about 1.5 hours- a real bargain. Faneuil Hall has awesome street performers and acts. You can walk around and browse the shops in the daytime or evening. 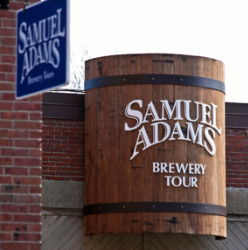 The Brewery Tour is a unique experience, and it’s free- with a $2 suggested donation. It’s a fun outing for the adults that works for kids too, and strollers are fine. If you are baseball fans, the guided walking tour at Fenway park,home of the Boston Red Sox, is excellent. It lasts an hour. For little kids or for some picnic down time, in Brookline is a nice shady park with a playground, a walking path, and pond. Immersive museum for young kids. Make a Bikur Cholim stop and infuse your vacation with meaning. Unfortunately, there are always Jewish patients who come from all over the world for treatment at the one-of-a-kind hospital. Most of the kosher restaurants are in Brookline, which is a 15 to 20 minute drive from most of the attractions listed. If you are staying at a hotel, the nearby groceries generally carry kosher products, so you might want to buy breakfast and prepare lunch to take along. If you are staying at a kosher B&B, then your breakfast is covered, of course, and you can pick up some bagels for lunch from Kupel’s Bakery. Drive/trolley eight minutes to Jerusalem Pita and pick up falafel or shawarma for lunch — or if you’re in the mood for a dairy restaurant, try Café Eilat. There’s also Rami’s (falafel) and Kupel’s Bakery (bagels). Or you can pick up some food at the kosher grocery, the Butcherie. JP Licks(Cholov Stam)-ice cream chain in Boston shop where everything is kosher, and certain branches also have waffles. option if you have points to redeem. The Holiday Inn in Brookline is a lower-cost option. It has some key-only rooms for Shabbos. A kosher bed and breakfast run by the the wonderful Yarmush family. Located right outside Boston, near shuls and a kosher supermarket. It is on a nice property and beautiful area to walk around. Charming, comfortable bed and breakfast. Walking distance to the heart of Brookline (Harvard Ave) for kosher food and shuls.